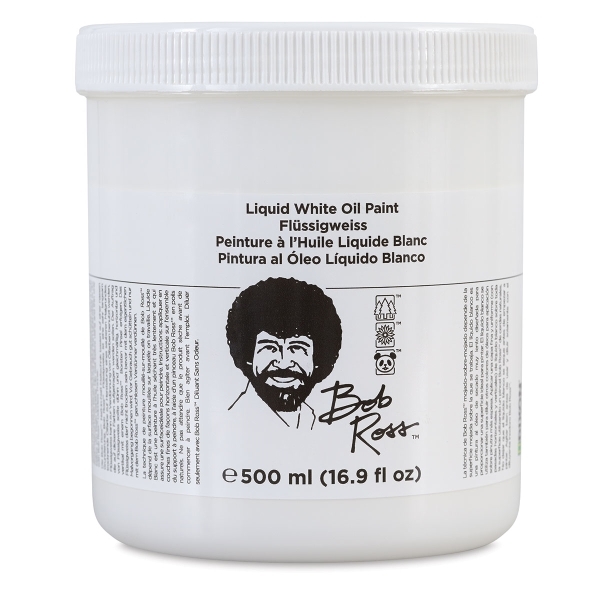 Bob Ross Oil Mediums are designed especially for use with Bob Ross Oil Paints, including the Soft Oil Colors. Use them in the wet-on-wet techniques demonstrated in Bob Ross's books and video programs. Because Bob Ross's technique is a wet-on-wet method, these special mediums have been developed to allow blending and mixing of colors on the canvas. They can also be used to thin other colors for application over thicker paints, much like odorless thinner. 8 oz (236 ml) can.